This is a sponsored post by DriveTime and Find Your Influence. and All opinions are 100% my own. My husband and I need to replace one of our cars soon. We’ve owned it since 1999 and now it has over 220,000 miles on it. Every time we talk about replacing it, neither of us has wanted to go through the hassle of looking for a pre-owned car replacement at a traditional used car dealership. 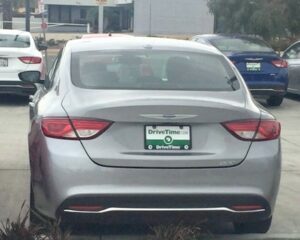 When I heard about DriveTime as an alternative to the typical used car buying experience, I was happy to learn more. 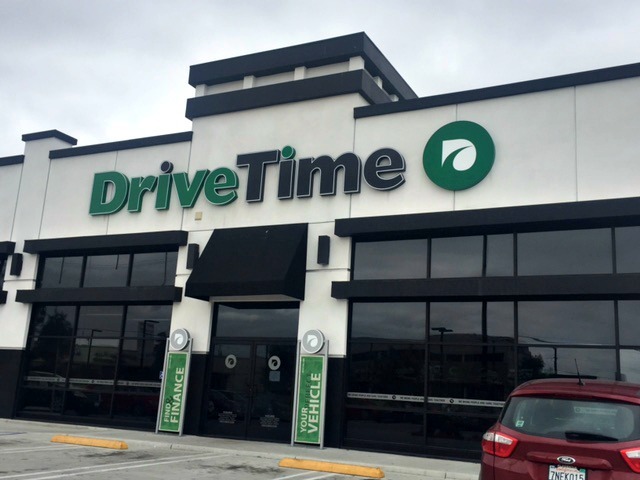 DriveTime operates over 140 dealerships across the country with thousands of vehicles in stock. 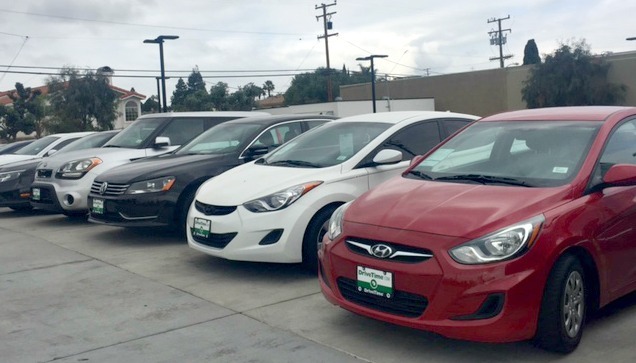 Although anyone can purchase a great vehicle from them, they have an in-house financing department that helps get customers financed more often than other dealerships and they specialize in helping people with credit issues. With DriveTime, you can go through their online pre-approval process without having to set foot inside the dealership. I can’t remember the last time our credit scores were checked so getting this done ahead of time is very appealing. The DriveTime website has some very useful tips and information on buying used cars, such as calculating the expenses of maintenance, the cost of insurance, and the terms of financing. Additionally, you can see the fair value of the car you may be interested in purchasing and then set a budget for yourself on the total purchase price, not just the payment you can afford. Learn more on their Approval Page. The information you gather will help your online approval process which should take no more than two minutes according to the website. I also learned that most of the DriveTime sales representatives are college graduates who have, not sales incentives, but satisfied customer service incentives. They have an incentive to be thoroughly professional and develop ongoing customer support with you. My husband and I are looking for an SUV with low mileage. Just by entering “SUV” and “low mileage” into the search bar, we could see all available cars within a 100-mile radius. You can also adjust that function to view cars closer or farther away from your location. All DriveTime cars, trucks, SUVs, and vans are thoroughly inspected for safety and security with care from their specially trained technicians. DriveTime vehicles come with a 5-day return guarantee. We are looking for a used truck. I need to check out this place. It was a truly satisfied customer service that any used car company or any establishment should offer. Aside from their website that gives some very useful tips and information on buying used cars, they also tend to help their customer with some financial and credit issue. A big salute to you DriveTime. This is definitely worth considering as my girlfriend recently challenged me about always buying new. Will keep this in mind when we’re looking for our next car … to replace my husband’s minivan. I’m really glad to hear that the DriveTime sales representatives have satisfied customer service incentives instead of sales incentives. I wish most of the companies would work like that! The 5-day return guarantee is a big bonus too! I’ve heard this is a good place. We have one nearby and I know lots of people use it. I love it! It’s perfect for people who are buying their first car as well. I think it’s really convenient and hassle free. I’m definitely going to look into this. I know absolutely nothing about cars, so anything that takes the hassle out of buying a new one sounds like a great idea to me. This company sounds perfect, and I might be in the market at the end of this year! What a great place for people trying to buy cars. I hope we have the same in our country. Thanks for sharing! What a timely post. I am in the market for looking for a new car. I am glad you gave us some great info on why I should consider Drivetime for my next car purchase. My husband wants to buy a new car for him and that place looks really good. I’ll share this info with him. I would certainly look for them once I need a new set of wheels. Though the 5-day return sounds a bit short, I guess it might be fair enough. I am hearing about DriveTime for the first time, but this sounds amazing to have an alternative car buying experience. One of my brother is up for a new car & this might help him a lot!